$12 advance • $15 day of show Additional fees may apply - SOLD OUT! Be Our Guest! Be Our Guest to our 3rd annual Movie Gang Valentines Event. 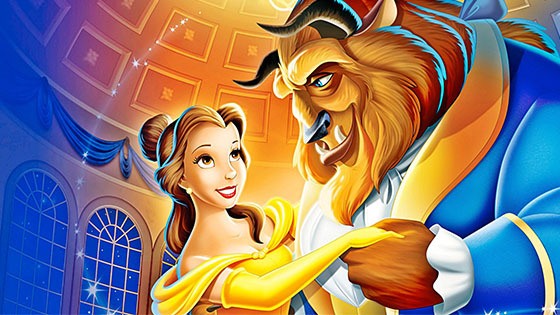 Showing the original and true Disney’s Beauty And The Beast! Once labelled “The Most Beautiful Love Story Ever Told” we couldn’t think of a more perfect movie to bring back to the big screen at The Franklin Theatre for the holiday. The Magic of Disney, Belle, Beast, and Valentines will be in full spirit ready for anyone looking for a perfect date environment or just a place to go to be reminded that there is someone for everyone. Like all Movie Gang Events, showing the movie is just not enough! We will be hosting our first onstage Disney Theme song Karaoke Contest! So sign up to participate to win $100 cash or at least get there before the film to be able to vote for your favorite contestant. Plus more so read below! - Free Heart Shaped cookies courtesy of The Frothy Monkey! - First 100 people through the door receive a free Enchanted Rose! courtesy of Always In Bloom. -Plus more fun to be announced!! !